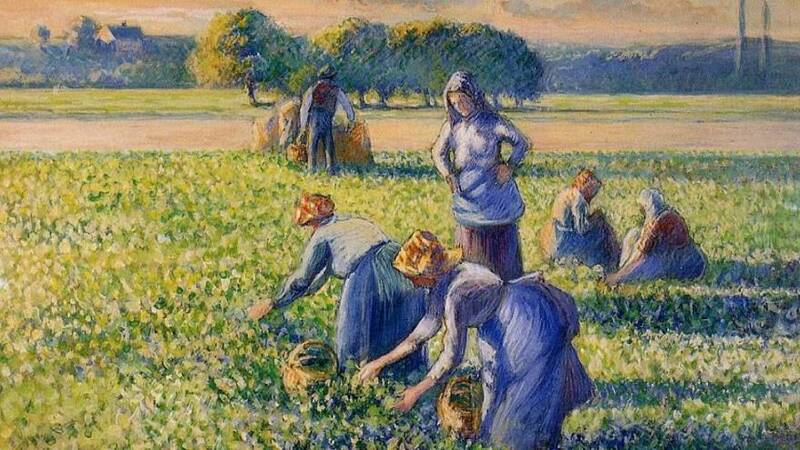 A Paris court has ordered an American couple to return a valuable Camille Pissarro painting looted during World War II to the descendants of a French family who owned it at the time. US citizens Bruce and Robbi Toll had loaned the painting “La Cueillette des Pois,” or “Picking Peas,” by impressionist master Pissarro to the Parisian museum Marmottan for an exhibition earlier this year. But the painting was placed in temporary escrow after one the French heirs recognised it and filed a lawsuit to have the work returned. The Pissarro painting was part of a collection of 93 master canvasses made up by French Jewish collector Simon Bauer over the years. The collection was confiscated by the French regime of Vichy, which collaborated with the Nazis, and sold out by a vendor designated by the General Commissariat for Jewish Questions. A civil judge said Tuesday that the Tolls didn’t act in bad faith when they bought the painting from Christie’s in 1995 but that the sales of all goods looted by the French Vichy regime or its Nazi allies were void. Judges didn’t award any financial compensation for the Toll couple who purchased the painting for 690,000 euros (800,000 US dollars) in 1995. Their lawyer Ron Soffer said his clients were deciding on appealing the ruling. The artwork is now estimated at 1.5 million euros (1.75 million US dollars ) based on the value covered by the insurance paid for the painting. In the meantime, the canvas won’t be returned to the French heirs and will be kept in escrow by the Paris’ Orsay Museum.